What would you have to do to increase profit in a business where you couldn’t control costs? You’d have to increase production per animal, increase the number of animals you carry and hope for higher prices. These are the strategies most ranchers have followed, and Universities have recommended, for generations. It’s a logical approach if you believe that you can’t do much to reduce costs, especially overhead costs. The biggest costs on most ranches are overhead costs. Overheads are costs that don’t change very much as the units of production in an enterprise change. Overhead costs include all land and labor costs (e.g. rent, salaries & benefits, and equipment related costs) and account for 60-80% of all of the costs on most ranches. Economists call these “fixed costs.” At the Ranching for Profit school we contend that the economists are wrong. We argue that the word “fixed” implies that these costs can’t be changed. Thousands of Ranching For Profit graduates, who have dramatically increased profit by drastically slashing overheads, know that we are right. But for the vast majority of ranchers who haven’t been to the Ranching For Profit School the economists are right! Overheads are fixed unless you change the fundamental structure of your business. Consider the example of a March-calving cow-calf enterprise in an environment with severe winters and no green, growing grass until sometime in April. The cow’s highest nutritional requirement matches the lowest pasture forage quantity and quality of the year. Our traditional answer? Feed hay. 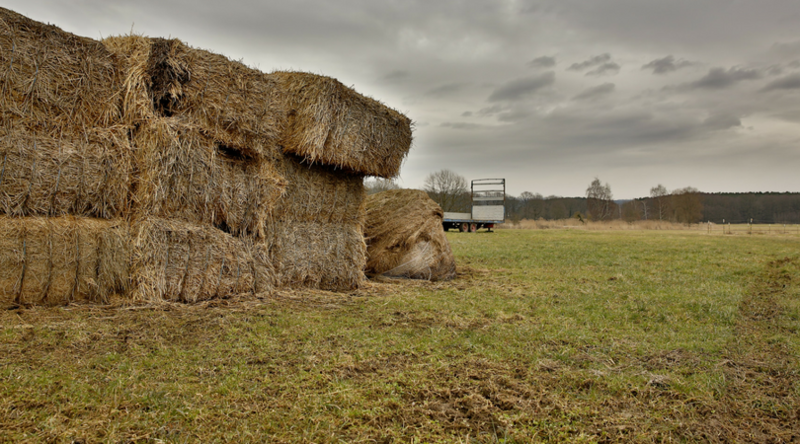 The hay we feed is a direct cost, a cost that changes directly as the number of units change. But the equipment and labor costs involved in feeding the hay are overheads. We can tweak the efficiency of our March-calving cows all we want. We can improve our grazing program so that we make use of stockpiled forages well into the winter. But as long as our production schedule is out of sync with the forage cycle, we will need hay, and therefore we will incur the overhead costs of feeding hay. Unless we change our production schedule we will not be able to reduce overheads in any meaningful way. They are fixed in place by our production strategy. It doesn’t matter if we have 50 cows or 500, feed 100 bales or 1,000, we incur most of the overheads just by owning the tractor in the first place. If we’ve been putting up our own hay, we can cut our overheads by contracting with someone else to put it up for us or by eliminating the hay enterprise and buying in whatever hay we need. Changing a March-calving cow-calf enterprise to a seasonal stocker or custom grazing program would also be a way to slash the overheads. Either way, if we want to make significant changes in overheads, we need to make changes at a very deep level in your businesses. When we change at a structural level the overheads become easy to cut. Unless we change the structure, most overheads are fixed. Let me be clear. I am not recommending that you make any of these changes. But if overhead costs are 60-80% of the costs in your business, and those costs are fixed, aren’t you in a fix too?